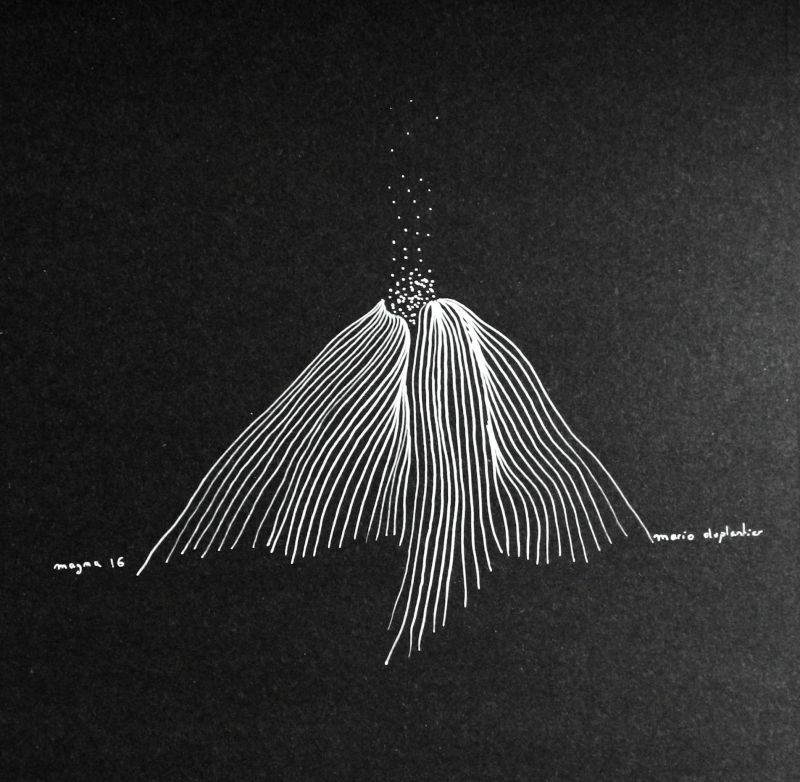 Sketches created for the album MAGMA, 2016. White ink on black drawing paper. Encre blanche sur canson noir.